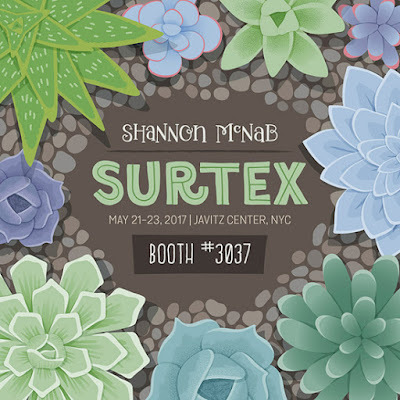 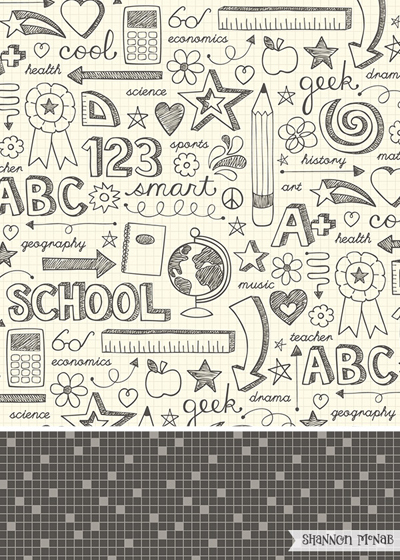 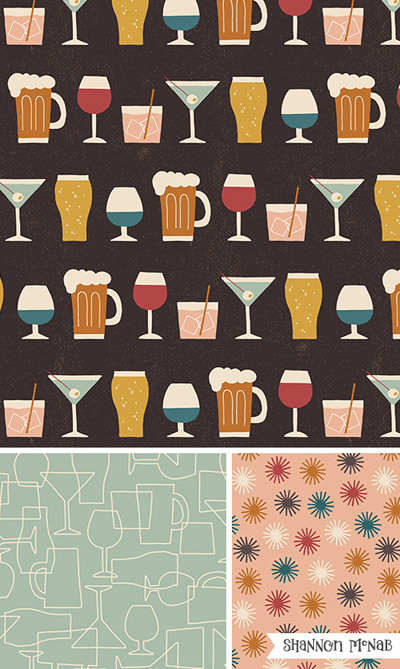 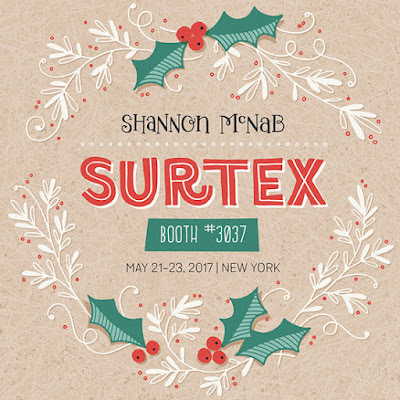 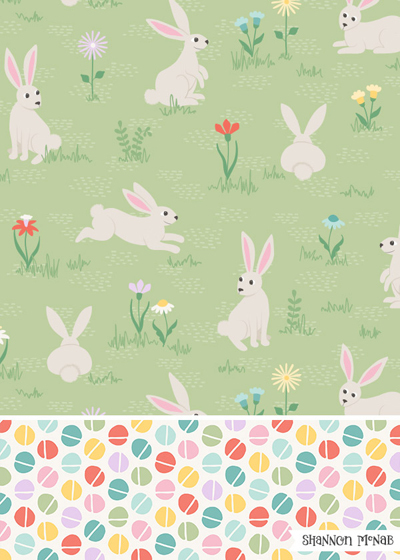 Shannon McNab will be making her trade show debut at Surtex. 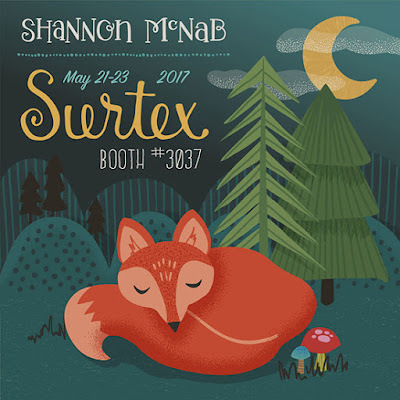 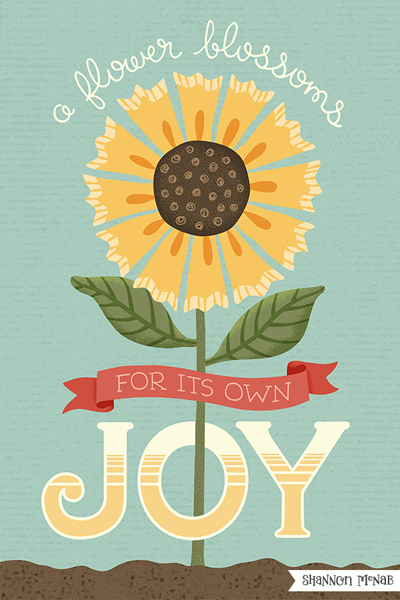 For the past six years, she developed her playful, hand-drawn style while working in the scrapbook industry and is now ready to expand into other markets. 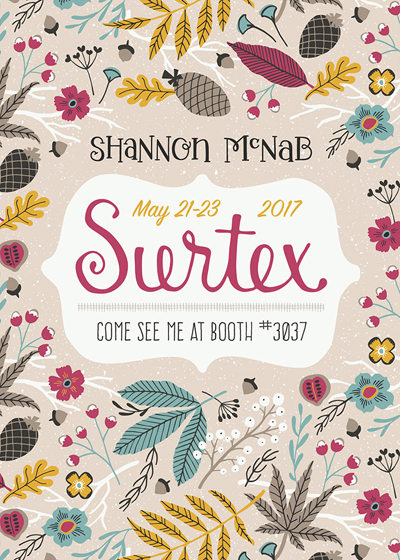 You can find her at Booth 3037 and online here.